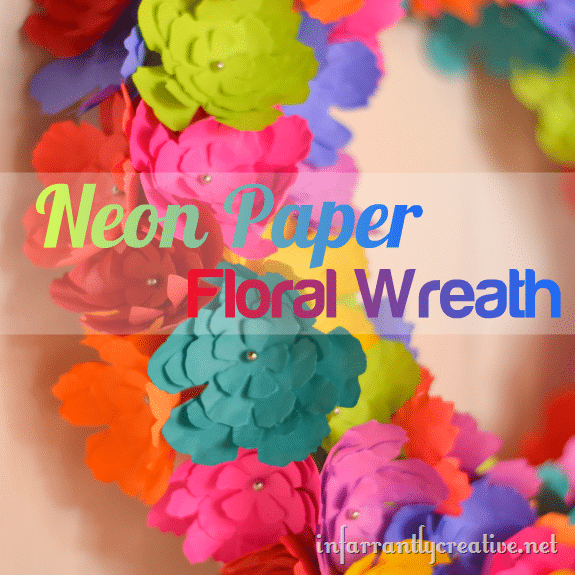 This adorable neon paper wreath is just one of the projects that you can find on Saved by Love Creations. There are more than 50 neon projects in all. You can learn how to make fun nails for summer, picture frames and practically anything else that you can think of. Love the neon look of the 80’s? Well, you can now relive those wonderful colors and make a lot of things for your home or to give away as gifts. There are some great projects for kids and for the kid in all of us. There’s even a neon purse made from duct tape!